In this FantasyBet Review you will learn the facts about this fantasy football provider. In addition to offering very good guaranteed prize money, it also offers excellent service and exciting tournament formats such as the Flash tournament format, where you have only 3 minutes to complete your line-up. It’s a pure thrill! Mobile: how does the software work on phones? App: Is there an app? Tutorials: What tutorials are there for newcomers? FantasyBet gets off to a convincing start thanks to the fact that it has an absolutely coherent concept –the highest security standards, a great welcome bonus, an extensive tournament portfolio and a lively community. You could not ask for more from a fantasy football provider. FantasyBet is completely focused on fantasy sports and, in particular, daily fantasy football . The fantasy football tournaments come in “ Daily ” and “ Full Season ” variants and the vendor’s focus is clearly on the fast-moving and action-packed Daily Fantasy Football Tournaments. In the daily version, the tournaments generally cover the games in a single match day or even a selection of individual games within them. So, when you choose to play daily fantasy football, you know you don’t have to stick around for a whole season, you can look at each game day and decide if you want to put your teams into tournaments and fight for the prize money. There are a lot of tournaments to choose from on FantasyBet. On every match day you have several tournaments with different buy ins and guaranteed prize pools. So there is always something for every budget. Once a month, FantasyBet goes one better and triples the prize pool and buy-in in the main event: the Grand Weekend tournament with a £1000 guaranteed prize then becomes the “ Triple Grand ” where you play for your share of £3,000 and a first prize of around £800. The “Flash” tournaments on FantasyBet are a revolutionary and action-packed tournament system. In this format, you have only 3 minutes to turn a given selection of players into a powerful team. If you don’t want to risk your own money, you can also take part in the weekly freerolls and win real money without any risk. Also check out a the most important tournaments. FantasyBet offers an attractive welcome bonus for all new fantasy managers. Please see our Bonus Review for details on the free seed money you receive exclusively through 11Heroes, Simply sign up via the following link to benefit from one of the best welcome bonuses for fantasy football managers in the UK market. The Scoring System on FantasyBet rewards the good actions (such as goals, preparations, clean sheets or assists) of the players you set up with points and penalizes negative actions (like conceding a penalty or a yellow card) by deducting points. When you are ready to load your account, FantasyBet offers a range of options for you to do so. Our partner also often has special promotions on offer to sweeten you a deposit – for example, they may give you free tournament tickets. It is always worthwhile to look for a bonus. The FantasyBet user interface is very intuitive. The lobby is attractive, clearly laid-out and has lots of filter options to make it easy to find what you want. There are very few bugs in the software and you have the filters in the lobby for individual leagues, game modes, buy ins and duration of tournaments offered. Your personal profile is also clearly laid out and the support leaves nothing to be desired. Requests are processed competently and promptly: in other words, it’s a good overall package. It’s time to get started, so let’s go step by step through tournament registration on FantasyBet. In the tournament overview , also known as the lobby, you will find the current tournaments listed. 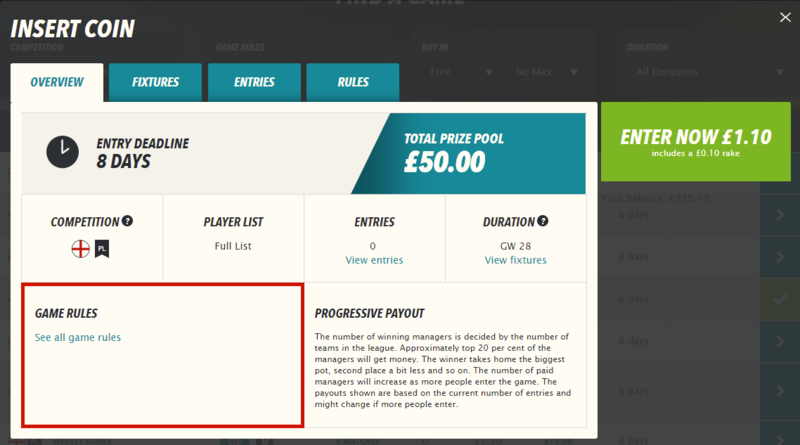 In this example, we have opted for the “insert coin”, with a buy-in of only £1.10 and a guaranteed prize pool of £50. You can now take a look at all the details of the tournament. Which games are considered (Fixtures), Who are your opponents (Entries)? What are the rules of the competition (Rules)? By clicking on “Enter Now” you confirm your participation in the tournament and the buy-in will be deducted from your balance. 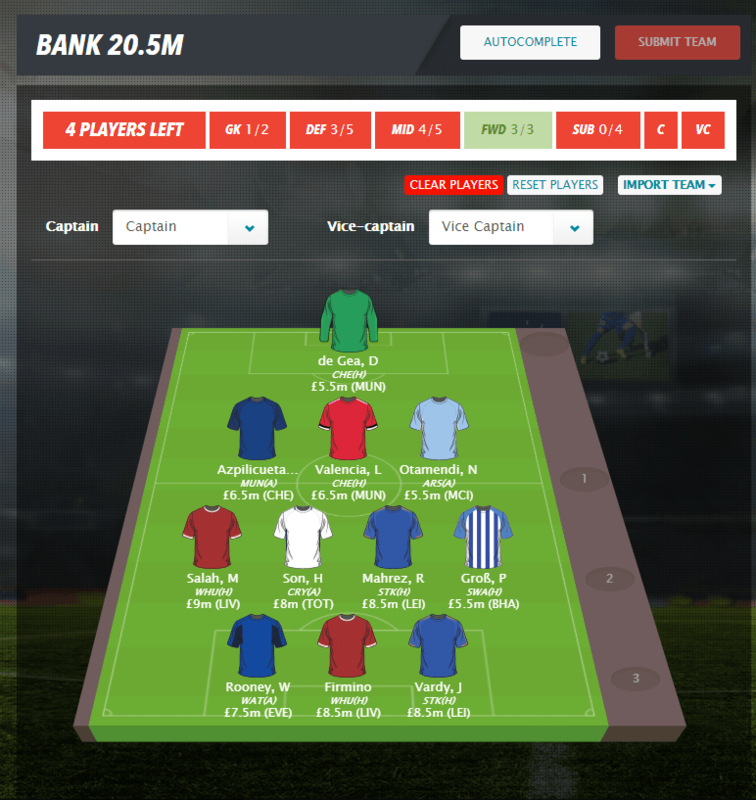 Now you can nominate your Dream Team (within your budget) and your formation. I wish you the best of luck! 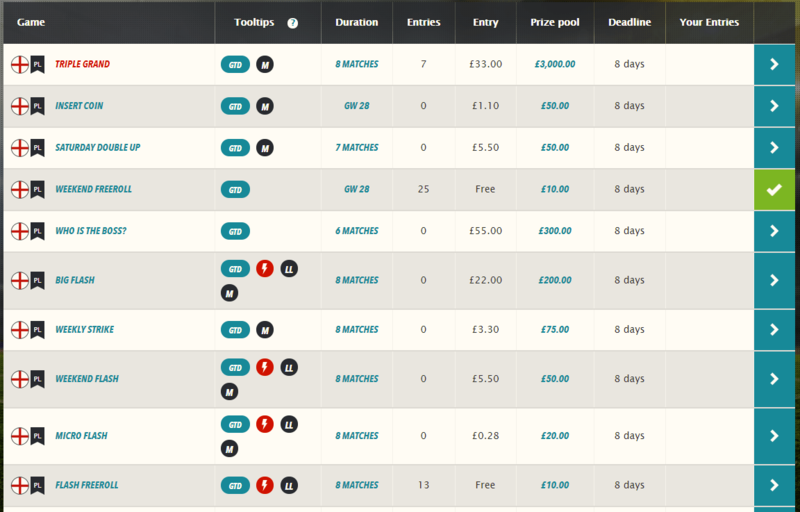 FantasyBet supports fantasy football managers with numerous filter options and specific information about the players. In the right “Players” bar you have numerous options to search for the best candidates for your team. 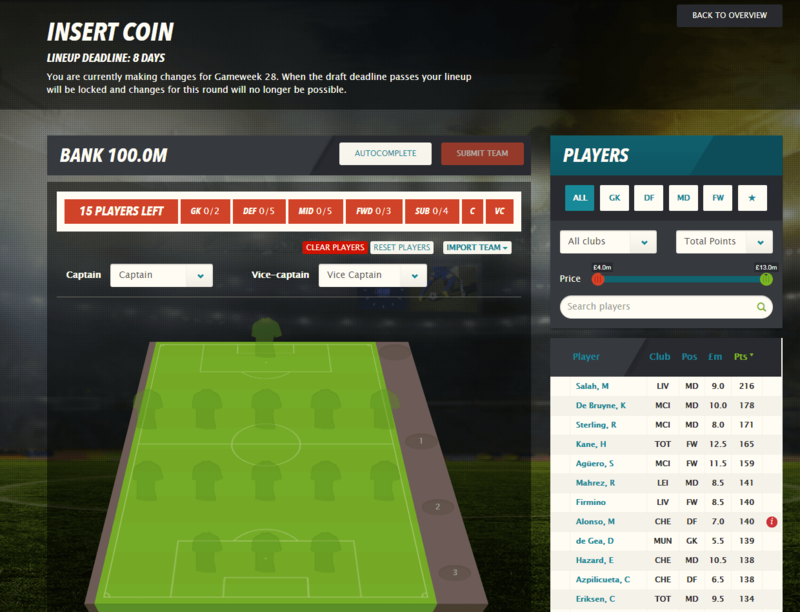 You can filter the players by position, team and price or search directly by name. 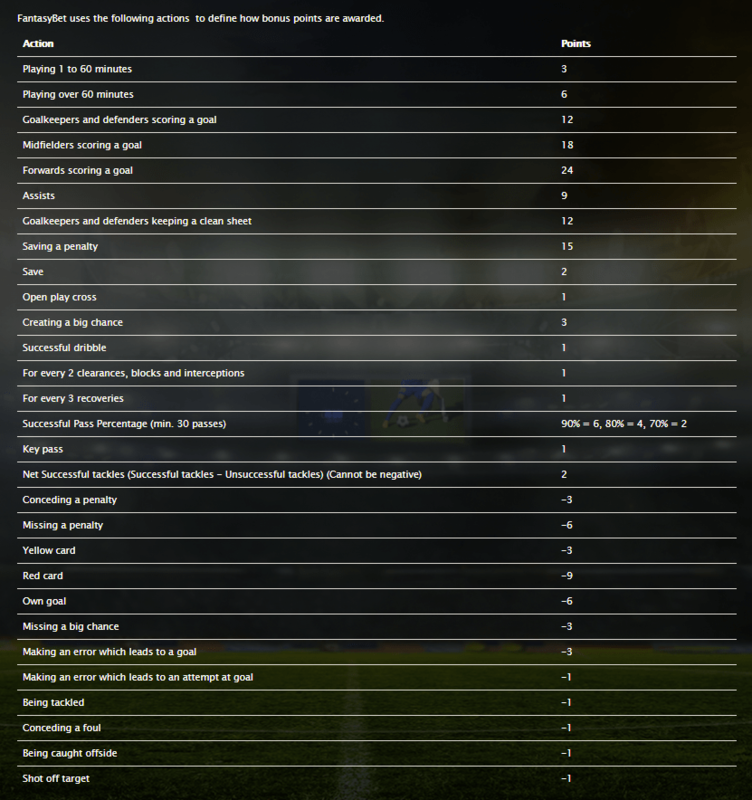 Points: Under Pts, you can find the total points the player has scored in the fantasy football tournaments this season. If a player is injured or ill, Fantasybet highlights this by placing a red, or orange “i” behind the player’s name. 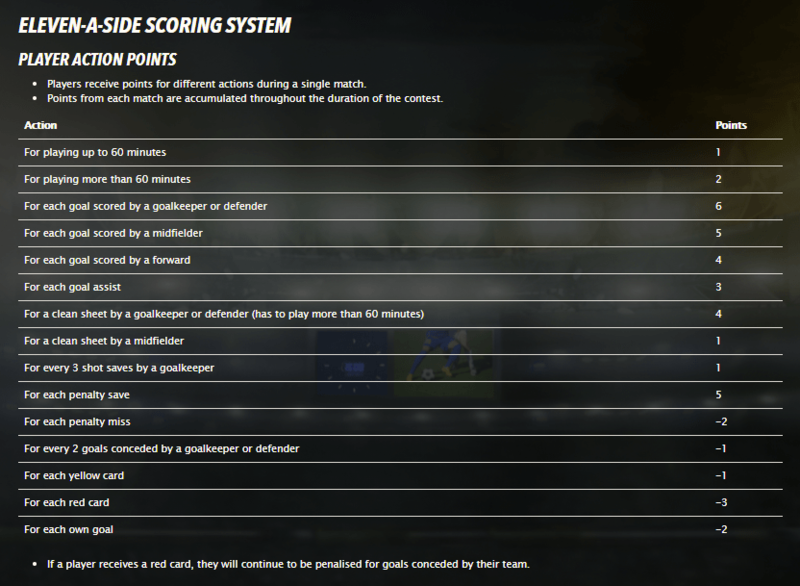 Under “Total Points” you also have the opportunity to sort players by goals scored, points per game, form, assists and clean sheets. If your budget is tight, you can use price to narrow down the price range for your players. Above the line-up, you’ll see your remaining budget (bank) and the line-up requirements. Your team must contain: 2 goalkeepers, 5 defenders, 5 midfielders and 3 strikers. However, four of these players (and one of the two goalkeepers) have to sit on the bench. 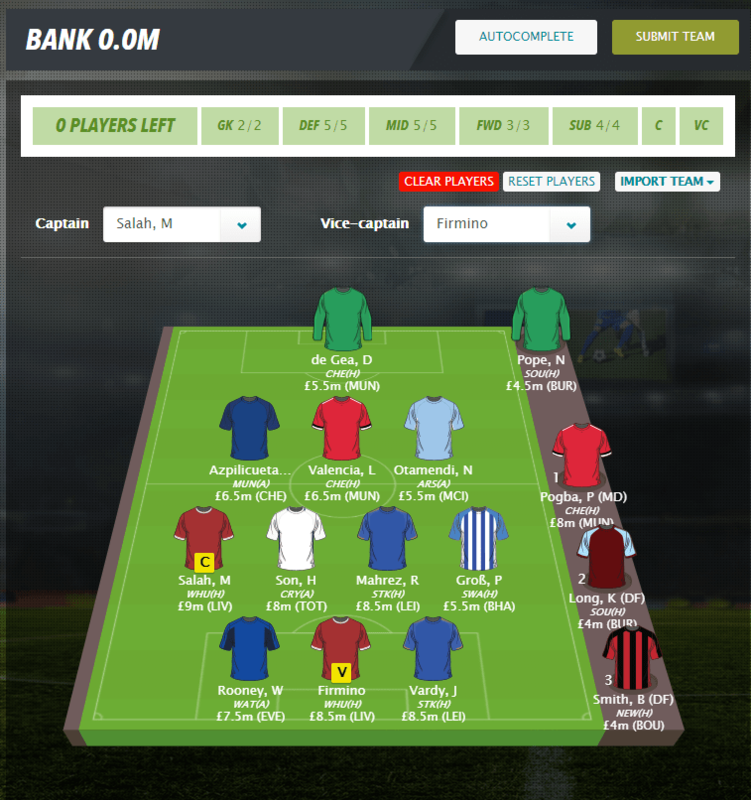 The Substitute Bank is a very interesting feature on FantasyBet and allows the resourceful fantasy manager to create riskier setups, as potentially injured players are replaced by the substitute and are not a total failure for your team. A well-calculated risk can be very worthwhile! If you have already set up a team in another tournament, you can transfer them using the “ Import Team ” function. You can also choose your captain and vice captain here. The captain’s points are doubled. If he does not play, the vice captain takes the arm band. Once you have decided on a formation and created a team, all you have to do is add the missing players on the substitutes’ bench (here: 1 goalkeeper, 2 defenders and one midfielder). Once the substitutes’ bench is filled and the captains are selected, you’re good to go and and you can send your team onto the pitch by clicking the “Submit Team Button”. If you want to change something later on, you can do so right up to the last second before the kick-off of the first match. Of course, you can also use the Fantasybet from your mobile phone or tablet. It is fully responsive and provides you with all the important functions. It’s particularly handy to be able to follow the action on the live ticker and keep track of how your team is doing when you’re out and about. However, it’s more fun to draft your team on a full-sized computer monitor or on a larger tablet screen. There is currently no dedicated App . 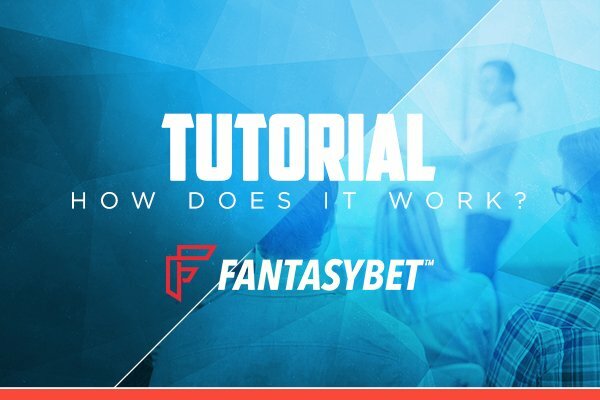 We hope that our FantasyBet Review has told you everything you need to know about this fantasy football provider and answered all your questions. If you have any further questions or feedback, we look forward to your comments. The 11heroes team wishes you the best of luck with your career as a fantasy football manager.